In ‘God’s Country’, to quote an elderly man I met in a supermarket, also known as Queensland. I went for a week of video shooting/editing training. It was really great, I shot and edited three videos in three days and came back exhausted on Saturday morning. So that’s my excuse for the disappearing act, feeble though it may be. I had one morning free and managed to knock off a few Christmas presents, but apart from that it was all work. I had a yummy breakfast at Habitat, three very average tacos at Beach Burrito and some great craft beers and food at Tomahawk Bar. 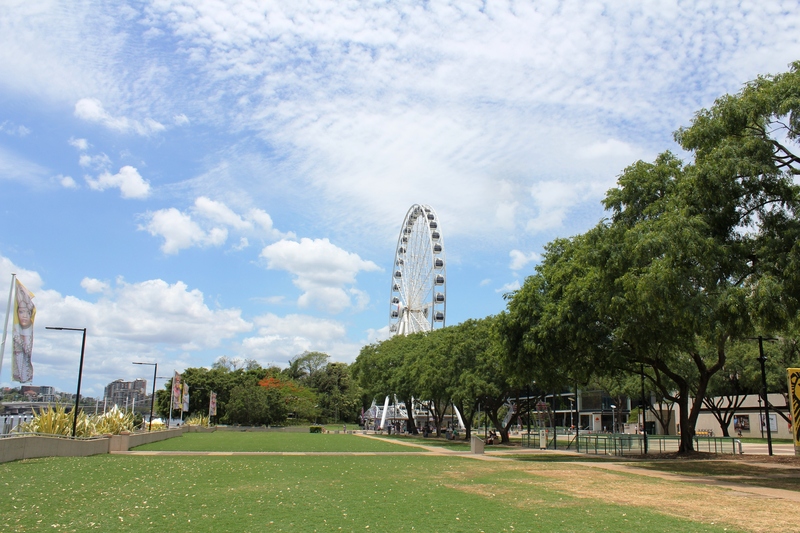 We spent a lot of time on South Bank, right near the big Ferris wheel, which no doubt provides a far nicer view over the city than Melbourne’s version next to the industrial western suburbs. One day I’ll try it out. So now I’m back and on the fast track to Christmas. You? oh wow the pictures looks amazing! Where you there for the big storm? 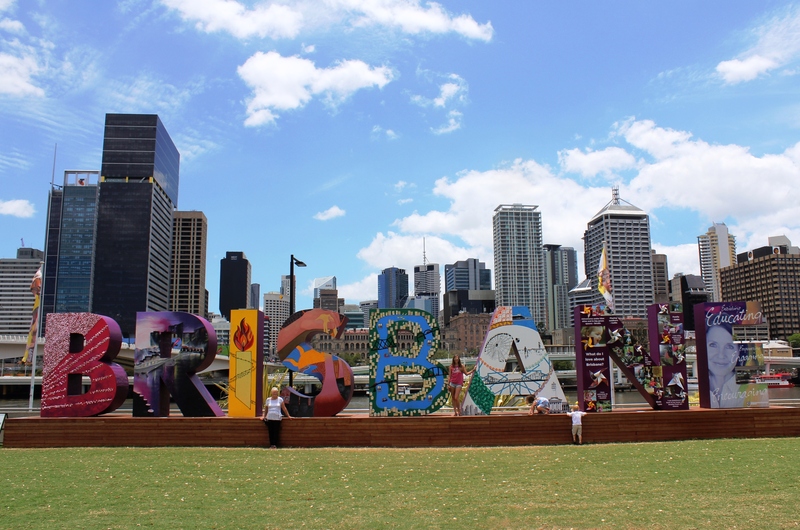 I just got back from the Gold Coast last week with lovely weather and literally flew into a storm in Sydney. No I just missed it! I think there was a storm brewing in Sydney on Friday night as I was flying out of Brisbane though. What was it like flying in that weather?! Terrifying! I hate flying as it is, so the stomach churning up and down and the plane rocking about through clouds isn’t really to my fancy.